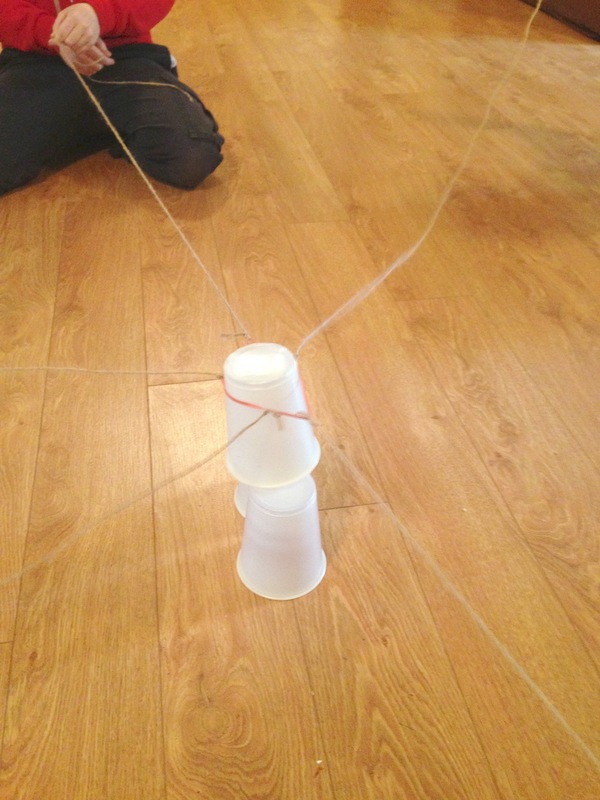 Work as a team to build a tower of cups, using string tethers to manipulate an elastic band. Before the activity, tie the end of each string to the elastic band, to make a ring of strings extending outwards. Place the cups downwards on the floor and spaced apart. Hand each student the end of each string, and ask them to space out so that they can open and close the elastic band by collaboratively pulling on their strings. 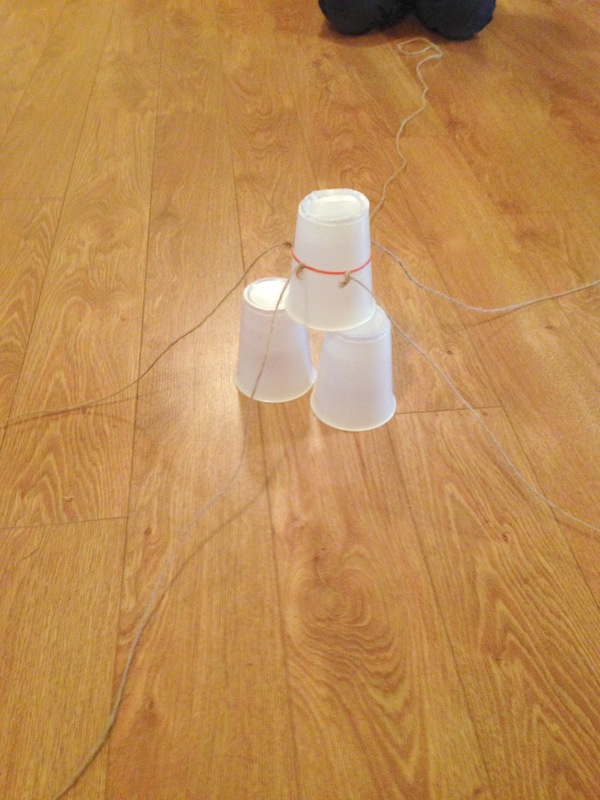 Ask them to use the elastic band and string contraption to arrange the cups into a tower with a two-cup base with one on top. They may need to be reminded to stay at the end of their strings. 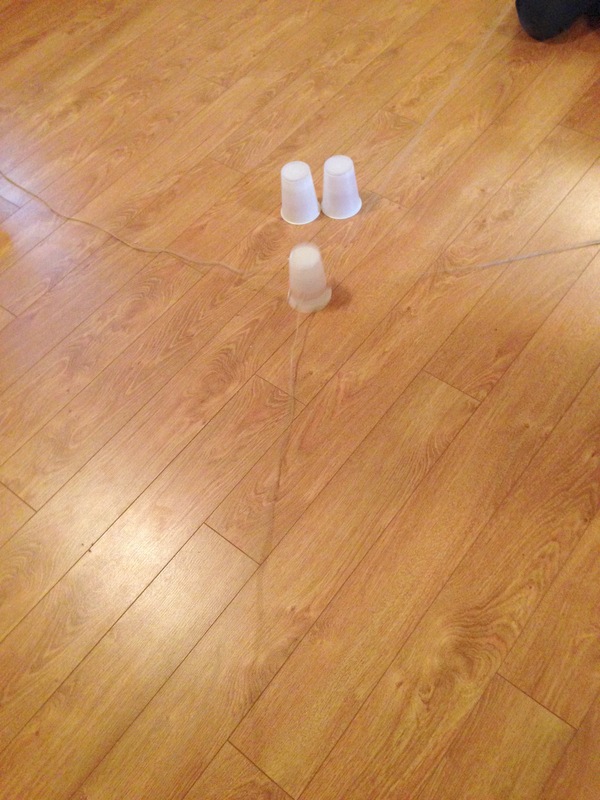 Students need to work closely together, to discuss who should pull or loosen their string, in order to pick up each cup and place it. Placing the top cup will be hardest and they may try several times. They may drop a cup on its side, and will need to figure out how to right it together. Encourage respectful teamwork, and that no idea is a bad idea.